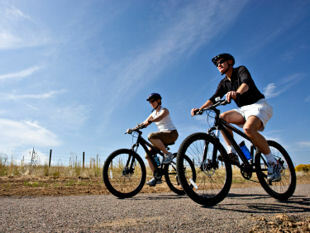 ﻿ Biking Holidays Luberon| TripAdvisor Bike Tour Reviews. REVIEWS FOR OUR B&B BASED PROVENCE BICYCLE TOURS. Spending our week at Neil and Nat's B&B was the absolute highlight of our holiday. We wanted to do some cycling through Provence and I was delighted when I came across Neil's website and he responded to let me know they had a very rare September opening. The experience was incredible right from the sign up point. The communication in the lead up was fantastic, accommodation was perfect, and the cycling was some of the best I have seen. Neil knows his stuff and has spent years fine tuning the best routes for his clients to see the very best of Provence. You get a well maintained bike, GPS loaded with routes for the day, and a card full of tips to the best restaurants in town. Off the bike, Neil and Nat provide beautiful farmhouse accommodation, delicious breakfast (and a couple of dinners) and help with any dinner reservations in the local villages. I am already planning my next trip and have recommended this experience to at least 5 other people and I've only been back for a couple of weeks! We used Neil's country home as our headquarters for a week of Provence road biking. Neil graciously shared his country home with eight of our friends. We were a rather senior group of experienced road bikers with me at 80 the oldest and the youngest somewhere in her 40's. Neil supplied all of us with Garmin GPSs and sent out on our own each morning. We did just fine, nobody got lost, and the routes Neil selected were mainly on small hardly traveled country roads and bike paths winding the way through the valley and finding their way up the shallowest gradient to the hilltop villages. Neil is a French-speaking British Expat. He cooked two very good dinners for us and provided well thought out and accurately described recommendations for eating out on the other nights. Bonnie & Andy - US - Oct 18 - Provence bike tour review. Had a great time biking Provence from Neil and Nat's B&B. They were wonderful hosts. Neil knows the roads, when to visit where, where to dine and what sites to see. Go to the market in Apt on Monday. Don't go to the big towns on the weekend. He knows how to get you to your destination via gentle hills or the hard way. And he's a devil in the kitchen. The meals he prepared were fantastic. 94% 5-star reviews says it all. A votre santé et merci beaucoup! Susan & Mike - US - Jul 18 - Provence bike tour review. Wonderful stay with Neil and Nat and their incredible children. We were a party of 8 cyclists and Garmin novices. Neil educated us on his Garmin's so that we were able to navigate thru his great routes. Our hosts took very good care of us and were delightful people to be around. Fearless - US - Oct 18 - Provence bike tour review. Only an avid local cyclist could have pulled together the varied routes that Neil has put together - they showcased the natural beauty and culture of Provence. It didn’t matter if we biked his short or long routes, my wife and I felt like we really experienced Provence – its agriculture, geology, and ancient hilltop villages. Their B&B and bikes are in great condition. Neil and Nat are such relaxed, friendly, confident, and positive hosts because they’ve clearly developed and incorporated a wealth of good practices over the years, and care about the details. Meeting the three other like-minded couples was a bonus that added to the experience. Yes, and there’s nothing like a post-ride dip in their pool and a glass of wine to savor the day and prepare for dinner. Diane & George - US - July 18 - Provence bike tour review. 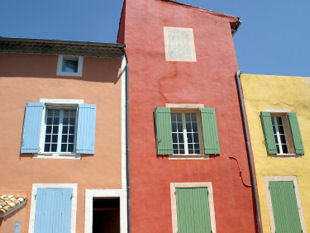 Visiting Provence was something I had wanted to do for years and my trip exceeded my expectations. 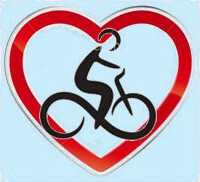 Provence Cycling Holidays is run by Neil and Nat, a well organized - attention to details couple. Neil would review our route for the day with us at breakfast to ensure we were clear on what to expect. You could select how challenging you wanted the ride to be ie flat, hills, distance. The towns we visited were nothing short of breath taking. My favourites were Rousillon and Gordes. On the ride there the lavender fields were in full bloom so we stopped to breath in the beautiful scent that filled the air. It was great getting back to the house after riding in the hot sun of the midi of France and going for a swim in the pool to cool off. Dinners were delicious and sharing stories of how the day went with the other guests was very enjoyable. I would recommend Provence Cycling Holidays without hesitation to anyone interested in doing a bike tour of this spectacular region of France. Danila & Richard - Can - July 18 - Provence bike tour review. The daily bicycle options were outstanding with good map support and hosted explanations. The breakfast and hosted dinners were healthy, delicious, and generous. The pool was the perfect refreshment at the end of a hot day. Guest room and bathroom was comfortable as well. I hope to repeat this vacation and will be recommending it to friends. Neil and Nat (hosts) were amazing and helpful. Worldtravelor50 - US - June 18 - Provence bike tour review. We had a wonderful week staying here and biking around this beautiful area of France. Neil and Nat were the perfect hosts, providing great hospitality as well as heartfelt encouragement and support for whatever biking adventure you wanted to experience. The bikes were in good shape and well cared for. Neil worked hard and tweaked the bikes when necessary to make sure everyone was comfortable with their ride. The Garmin tracking system allowed us to ride along routes we could never have found on our own, past lavender and poppy fields, farms and orchards, and into historic towns where we could explore on foot at our own pace before deciding where to lunch based on their recommendations. The delicious home cooked meals were the perfect opportunity to meet other guests with similar interests and learn about their travelling experiences which we think is one of the best parts of travelling. Overall, we would highly recommend this B&B to anyone looking for a fantastic experience in the south of France. Dream30225 - Canada - June 18 - Provence bike tour review. We can't say enough about what a wonderful time we had cycling in the beautiful Luberon area of Provence. Neal and Nat and kids are fantastic hosts in their lovely farmhouse complete with fabulous meals and atmosphere. It was great meeting new people from other places. Real family feel, very comfortable. Highly recommended! We hope to be back soon! Bonnie & Tim - Canada - May 18 - Provence bike tour review. Just finished great week there. Had a group of seven. Neil and Natalene v helpful. Great routes, guidance and support. Lovely accomodation and meals. Easy access from Avignon TGV, so really it is easy from anywhere. Nick- Aus - May 18 - Provence bike tour review. We were a group of 7, 4 experienced riders and 3 of us, not so,(on electric bikes). We had a wonderful week, the bikes were perfect and the GPS navigation took all the worry out of directions. Our hosts Neil and Nat, briefed us every morning on our rides, we could choose what area we wanted and how many hills! Everyday we started with a wonderful breakfast to fuel us to start our rides, we were given advice on restaurants and best coffee spots. With the easy GPSs we were able to enjoy the beauty of the area, stunning views and delightful little villages to explore, including markets, galleries, churches, and lovely cafes and restaurants to enjoy our lunches. We never got lost and covered many kms. The accomodation at the villa was very comfortable and serviced daily, also a big plus was we had our washing done daily if needed. It wasn’t warm enough to swim in the pool but it was relaxing lazing in the sun in the beautiful garden and predinner drinks went down a treat. Our hosts fed us 3 nights and they are fabulous cooks, and massive serves, but with all the riding that was perfect! We felt like we were part of the family, enjoying the company of their 2 children and Rocket, the delightful cat. I thoroughly enjoyed my week, a big thankyou to Neil, Nat and family. And l want an electric bike! Jo & Will - Aus - May 18 - Provence bike tour review. We stayed in a 17 th Century farm house B&B owned by Neil and Natalie Cowell. We were 3 generations of family from grandparents to teenagers. Neil has a wonderful system of bike trips all prepared for the little Garmin machines which you clip onto your bikes. 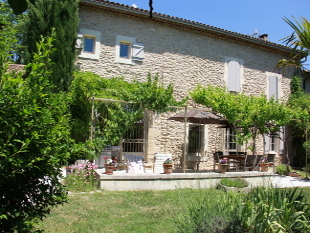 Their farmhouse is within easy reach of all the pretty villages of the Luberon. The accommodation, the food and the swimming pool were all excellent and the little town of Coustellet was a perfect central point in the Luberon. Sally & family - Aus/US - Jan 18 - Provence bike tour review.